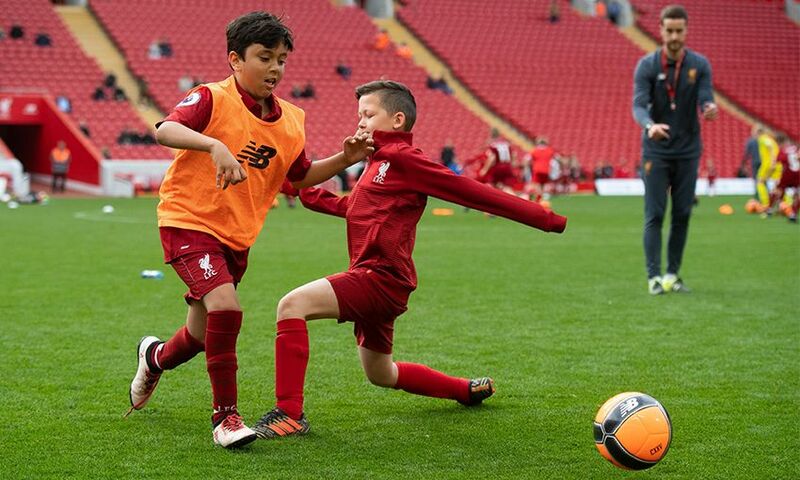 How would you like your child to not only learn to play the Liverpool Way, but to do so on the pitch at Anfield? This spring, they can do just that on one of our special Anfield Player Experience courses, which are open for bookings now. The two-hour Soccer School sessions will run from 6.30pm until 8.30pm on Tuesday May 14 and Thursday May 16 and are available to both boys and girls between the ages of five and 15 years. 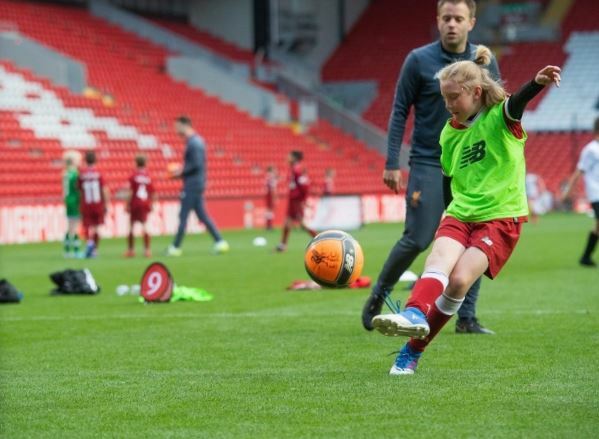 The courses take place on the pitch at Anfield, meaning the youngsters will follow in the footsteps of the likes of Mohamed Salah, Roberto Firmino, Sadio Mane and more in gracing the hallowed turf. They’ll emerge from the players’ tunnel to You’ll Never Walk Alone for this once-in-a-lifetime opportunity, and even have a chance to score a goal in front of the Kop. The session will consist of participation in carefully designed practices with experienced LFC International Academy coaches and will cover all different aspects of the game. All players will receive a medal, an LFC gift and a certificate signed by Ian Rush. Click here for more information and to enrol your child on the course. For more information on LFC Soccer Schools, click here. Each participant on the Soccer School course may bring with them a maximum of two spectators.